In what will come across as a really unusual development, a businessman has turned an airplane into a restaurant. 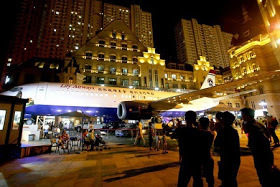 Li Liang, a Chinese businessman, has unveiled the very first airplane restaurant in China. 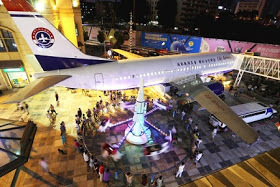 The airplane restaurant was recently unveiled in Wuhan. According to Oddity Central. the unique eatery which is named “Lilly Airways”, is located in the cabin area of an old Boeing 737. Businessman Li Liang acquired the aircraft from Indonesian airline Batavia Air, in May 2015, but then had to go through six months of exhausting custom procedures in order to get the aircraft into China. “Demounting, port, shipping, business license, trade declaration…all these procedures were never done by anybody before, which means I had to go through them one by one,” Li said, adding that the Boeing 737 had to be disassembled a total of eight times in its four-month journey from Indonesia to Wuhan, China. Getting the plane split into parts that then had to be packed in around 70 containers and shipped multiple times apparently cost the eccentric businessman a whopping 3 million yuan ($452,325). Add that to the 5 million yuan ($5.28 million) he paid for the plane itself and you have one of the most expensive restaurants in the world. 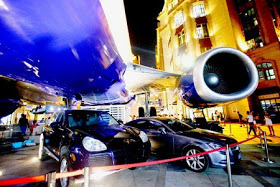 After finally setting up the airplane restaurant on the Optics Valley Pedestrian Street, one of the busiest shopping areas of Wuhan, Li is ready to welcome curious diners and airplane enthusiasts. The restaurant is located in the cabin area of the airplane, and the cockpit has been converted into a flying simulator where patrons will be able to experience what it’s like to fly a passenger jet. Li said that a dinner at Lilly Airways is priced between 200 to 300 yuan ($30 – $45) per person, while the cockpit plying simulation will set flight enthusiasts back 300 to 400 yuan ($45 – $60). Pretty steep, but I suspect it will be a while before this place turns a profit.